Betfair mobile Casino has come a long way since it was first released. What was once a dull mobile Casino with a mere four games has evolved into a popular and exciting Casino App, now with 17 of the best games for players choose from. Featuring only the best software from market leader Playtech, the games at Betfair Casino provide players with stunning graphics and crisp audio that make for an authentic gaming experience, particular when combined with the excitement of touchscreen gaming. The App itself has an intuitive interface, making it easy to find exactly what you’re looking for. It’s super easy to handle your deposits and withdrawals through the Betfair Casino App, plus you can switch seamlessly between platforms whilst still having access to your money. If you do have any issues with banking or anything else then the Betfair support team are there to help. You can get in touch via Twitter, Phone or Email between 7.30 and 12.30am daily to speak to a member of the friendly team, but sadly there is not yet a Live Chat helpline, nor a 24/7 service. Betfair makes depositing and withdrawing a breeze thanks to its acceptance and use of debit and credit cards, ewallets, prepaid cards and direct transfer solutions. Your options include and are not limited to Neteller, PayPal, Visa, Visa Electron, MasterCard, Western Union, Maestro and quite a few others. Even if you don’t have an ewallet, simply click on the option/mechanism that appeals in the Betfair banking lobby, and you’ll be directed to the website to register an account. Once you’ve funded the account you’ll be good to go! For a fairly new Casino App, Betfair has done a great job at providing a solid range of exciting games that are perfectly optimised for mobile gaming. These include popular Slots, Scratch cards, Roulette and Blackjack games, not to mention the incredible Live Dealer games. My top game recommendations on the Betfair App would be European Roulette, The Incredible Hulk and Iron man 2, and I was certainly impressed to see some Progressive Jackpots available to be won at the mobile Casino as well as online. Thanks to an impressive and extensive range of software suppliers, Betfair is able to offer up every conceivable way to place a wager, making them one of the ultimate sites to gain membership at and once you’re part of the Betfair family, odds are you’re not going to want to leave! Betfair Casino offers some great rewards for all of its online and mobile Casino users. 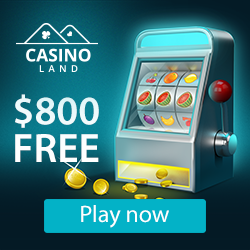 When you make your first deposit you can claim up to $/€300 to give your balance a helpful boost, and there are tons of ongoing promotions to keep things interesting when you play. Available for iPhone, iPad and Android devices, the Betfair Casino App is a fun way keen entertained and hopefully win yourself some nice prizes, whether at home or on the go.